Are Avocados Good For Dogs Or Should They Be Avoided? Many foods that we humans love are toxic as far as dogs are concerned, chocolate being probably the most well known example. On the other hand, many foods are perfectly safe for dogs. And so human foods can be a source of confusion for new dog owners, as they’d like to give their dog treats and share their food with them but they’re wary of causing them harm or illness. One food that’s been the subject of a lot of debate for a long time is the avocado. But what’s the truth – are avocados good for dogs or not? Before we look at whether or not avocados are good for dogs, we should first consider if avocado is actually safe for dogs. These are two different questions of course, and we obviously don’t need to consider the benefits of avocados any further if they’re not even safe for dogs, let alone good for them. So are avocados safe for dogs? So, according to the ASPCA, in general avocados are indeed safe for dogs. In fact, some dog foods contain avocado, and the manufacturers have done extensive testing to make sure that the avocado is safe for dogs. The main concern as far as avocado toxicity is concerned is a toxic constituent called persin. But it turns out that persin is only found in the stems, leaves and bark of avocado trees, not in the fruit itself. So I think it’s generally safe to assume that avocados themselves are not toxic to dogs as long as you make sure they don’t eat too much. You should also take care that they don’t eat the avocado pit which can block their gastrointestinal tract. If this happens to your dog, they’ll need urgent veterinary care. So now we know that they’re safe for dogs, that then leads on to the question of are avocados good for dogs? Avocados have many health benefits for humans. They contain lots of healthy fats, fiber and potassium, for a start. 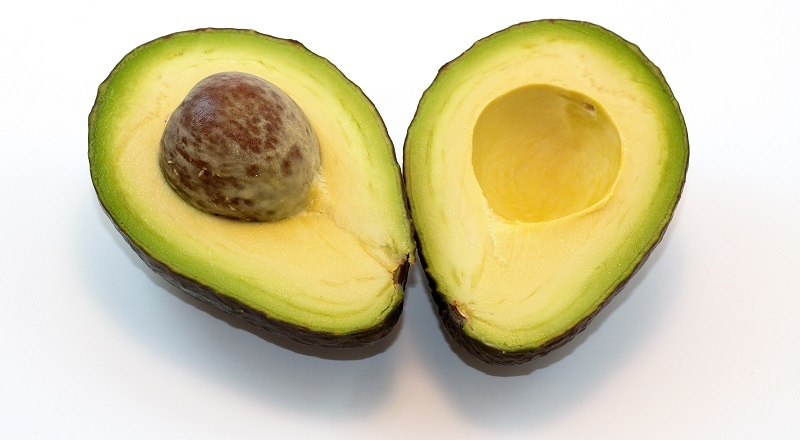 Indeed, avocados have more potassium than bananas. And avocados also contain many beneficial vitamins and minerals and they’re low in saturated fats and contain no cholesterol. So overall, avocados are a very healthy and nutritional fruit as far as humans are concerned. And it turns out that dogs also get all the same health benefits from avocados too. As well as being good for your dog’s overall health, avocados are great for their skin and the health of their coat too. The answer to the question “Are avocados good for dogs?” is yes, avocados offer many health benefits for dogs. You should take care that your dog doesn’t each too much or they could end up with an upset stomach. You should also make sure your dog doesn’t eat the avocado pit, nor should they be allowed to chew on any parts of the tree – the bark, stem and leaves can all be toxic to dogs. Finally, the best way to give your dog avocado is probably to find a dog food that already contains avocado – look for a quality dry dog food that contains it. That way, you don’t run any of the above risks.